Volodymyr Zelensky (41) had made clear beforehand that he would not attend the debate because of a quarrel over timing. But the president, struggling to revive his flagging re-election campaign, went ahead anyway, assailing his opponent as an unserious "virtual candidate". The one-man "debate", held in a stadium complex in Kiev, the capital, and broadcast live on television, came just a week before the second and decisive round of the election. 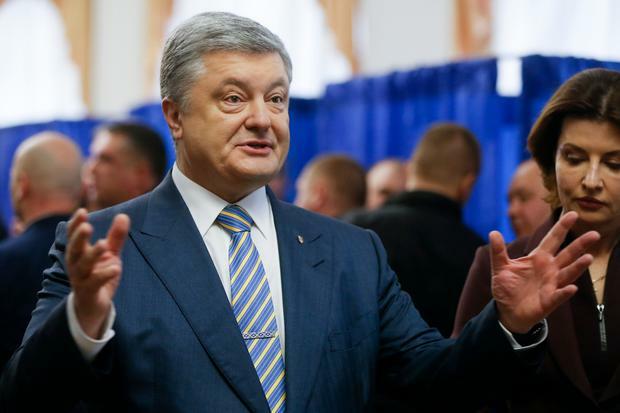 Mr Poroshenko (53) seized on Mr Zelensky's absence to press his campaign pitch that voters should not trust Ukraine's future to an untested comic at a time of war.